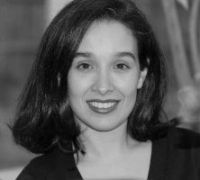 Catia Batista is an Assistant Professor at Nova University of Lisbon. She obtained her Ph.D. from the Department of Economics at the University of Chicago. Her first post was at the Department of Economics at the University of Oxford, followed by the Department of Economics at Trinity College Dublin. In the past she has also worked at the International Monetary Fund and at the Portuguese Catholic University. She is the Executive Director of NOVAFRICA (a research center focused on economic development in Africa), a Research Fellow at IZA (the German Institute for the Study of Labor) and a Consultant for the IGC (the International Growth Center based at the LSE and Oxford). Catia’s main research interests are on migration and remittance flows, economic growth, income inequality, and education. Her work has been published in outlets such as the Journal of Development Economics and the World Bank Economic Review.